Temples, food, new friends, Finnish dinner... There has been a lot going on already during the first week. A picture tells more than a thousand words they say, so I thought I would share my first week in pictures. On Thursday we went on a tour around the city. 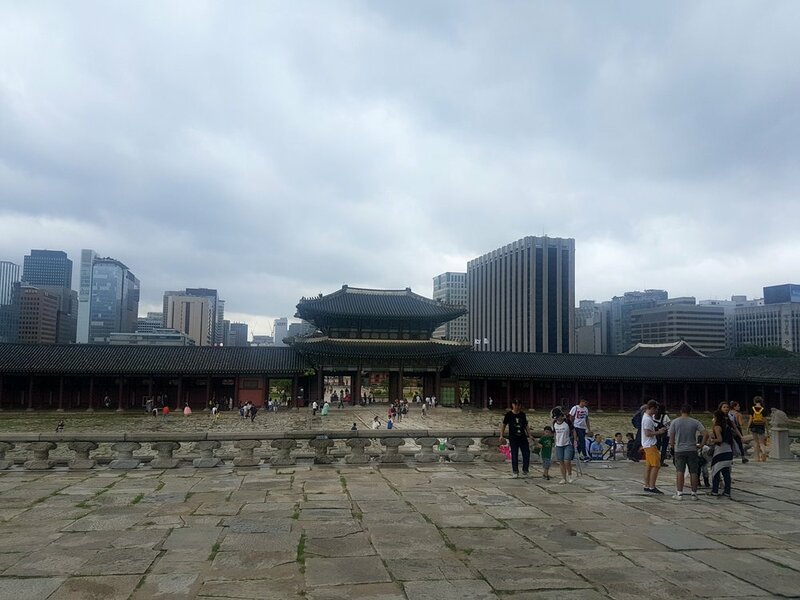 The most impressive part was definitely our visit to Royal Palace and the National Folk Museum of Korea. Outside Geoncheonggung Residence wearing Moomin Senja dress by Ivana Helsinki. 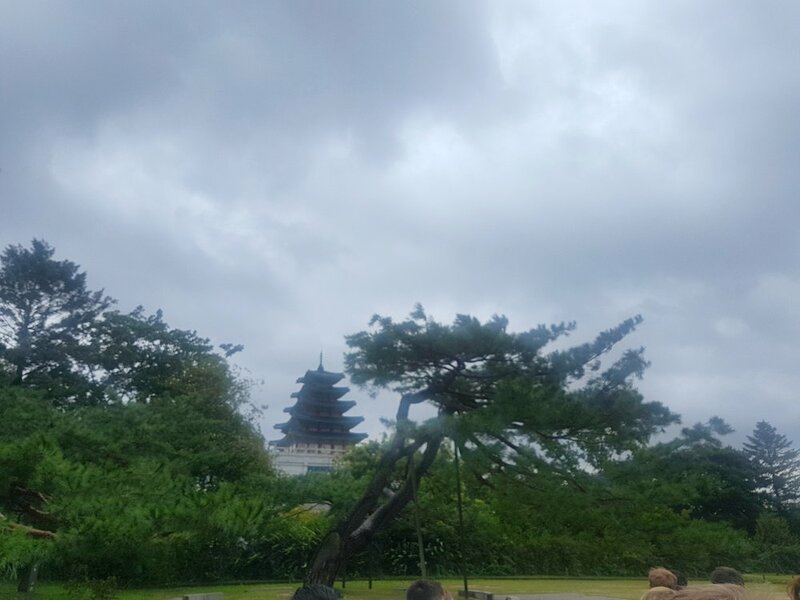 Geoncheonggung Residence used to be the home of King Gojong and Queen Empress Myeongseong. 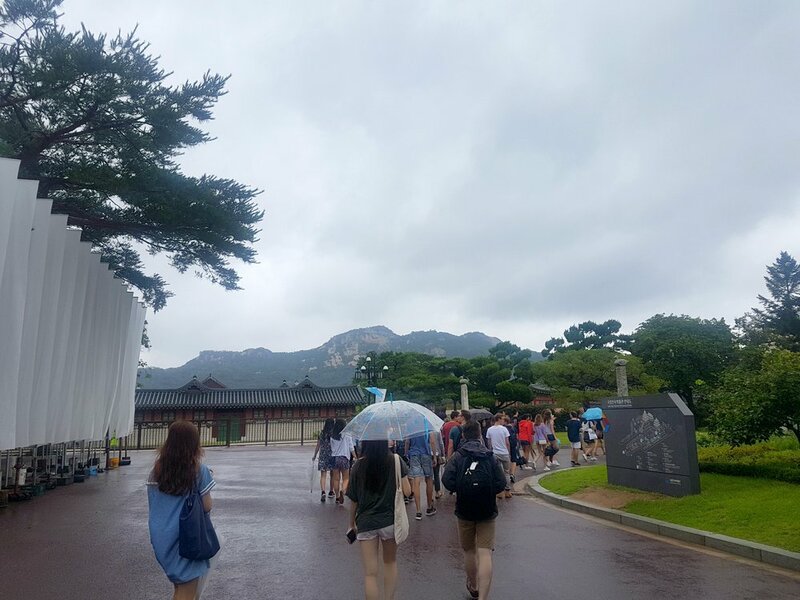 We walked around this huge place for 2,5 hours and I guess we maybe saw a half of it. The old and the new, right next to each other. The temple area is located in between the mountains and the city. On Saturday we gathered with a small group to enjoy a Finnish get-together and celebrate Suomi 100 at a lovely Finnish-Norwegian couple's place. These dinners were arranged around the whole world, which I think was super cool! Thanks so much to Milla and Erlend for having us. Groupie, of course. :D Photo by Petri Kalliola. Finland? Nope. Can you believe there were birches just outside the house? BIRCHES in Seoul. Wow. I think I have already found my favorite café in Seoul. I mean who would not want to drink their coffee in a swing? 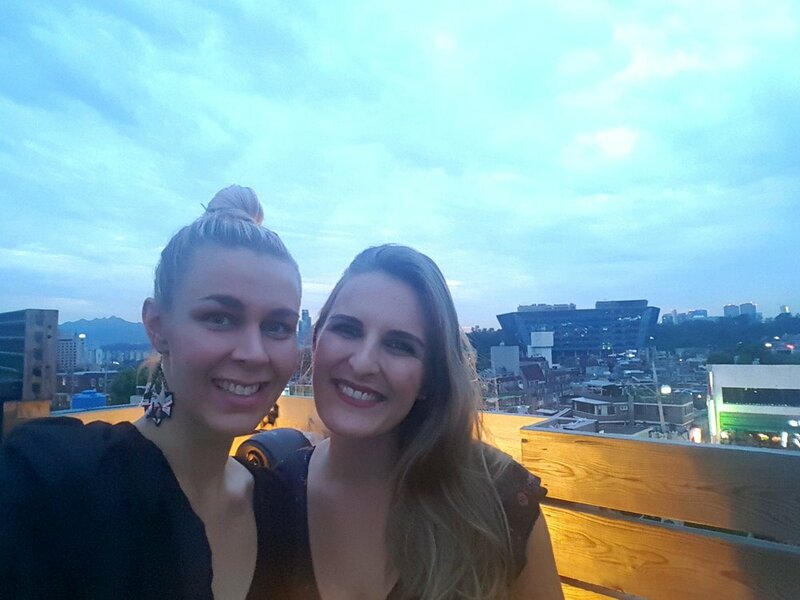 Rooftop party in Itaewon with Ina. Caraluna earrings by You Complete Me, bolero by Vestiarium.